North Iowans can trust that they have access to the very best in healthcare and this confidence is reinforced by data. 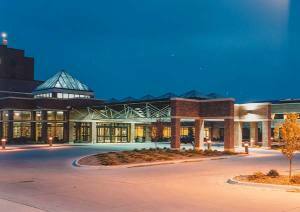 Mercy Medical Center-North Iowa has a reputation for quality based upon past performance and a total dedication to excellence. The hospital has been named a U.S. Top 100 Hospital for nine years, the only hospital in Iowa, and one of 15 in the country that has achieved this level of success. Click Here to see all of the Health Care & Treatment facilities in Mason City.